Book is a prototype AI that process highly intelligent questions and data to modulate the processed information into output which is limited by 40 characters, which is problem off not always understanding him, but well enough to compete against Yoda. The US had communications systems in the 1960s but nothing like the IADS the Soviets have had over the same period... the main difference is that Barnaul-m now integrates MANPADS into the system, which is primarily interested in stopping cruise missiles and other strategic threats. MANPADS of previous designs were unable to hit cruise missiles so there was no point in integrating them fully into the IADS... now they have. And Stinger has a range closer to 5km... 8km range is BS.... like the 600m "effective" range of M16... since proven more like 200m... in terms of lethality. GarryB wrote: The US had communications systems in the 1960s but nothing like the IADS the Soviets have had over the same period... the main difference is that Barnaul-m now integrates MANPADS into the system, which is primarily interested in stopping cruise missiles and other strategic threats. 10km range for Stinger-C or Igla-S is when it is flying towards incoming fixed wing aircraft, without maneuvering which gives it better range then the usual and effective range of roughly 6km chasing its target, but 10km claim sells more weapons of course and sounds more impressive. Russia's Konstruktorskoye Byuro Mashinostroyeniya (KBM) unveiled its next-generation 9K333 Verba (Willow) man-portable air defence system (MANPADS) at the Army-2015 International Military-Technical Forum in Kubinka. KBM designer General Valeriy Mikhaylovics Kashin said the Verba system significantly improves upon the accuracy and performance of the earlier 9K338 Igla-S (SA-24/Grouse) MANPADS, primarily through the integration of a new multispectral optical seeker, which uses three sensors - ultraviolet, near-infrared, and mid-infrared - as opposed to the dual-waveband infrared used in the Igla-S system. Kashin said the multispectral sensor enables faster discrimination between appropriate targets and decoys, and decreases the chance of disruption from infrared countermeasures, including high-power flares and lasers. The Verba's kinematic kill range remains practically the same as the Igla-S (slant range up to 6,000 m (19,680 ft) and altitudes of up to 3,500 m) but KBM said the engagement envelope has been extended by a factor of 2.5, and protection from high-power flares improved by a factor of 10. The company says that these improvements optimise the use of the missile's energy consumption with lower quantities of missiles now required to defeat an aerial target and deliver a general increase in performance by a factor of 1.5 to 2. A typical 9K333 Verba MANPADS system comprises a 9M336 missile with the new multispectral optical seeker, developed by LOMO of St Petersburg, and a new warhead developed by the RFNC- VNIIEF facility in Sarov; a 9P521 launcher; a Maugli-2M (1PN97M) infrared imaging sight (also developed by LOMO); and 1L229V ground-based IFF interrogator. The systems are integrated and produced by the Degtyarev Plant in Korov. Additional components include a 9S935 gunner's target cueing set; a 9C931 mission planning module; a1L122 compact radar; a 9C931 mission planning module; a 9V861 mobile control station; a 9C932-1 reconnaissance and control module; a 9C933 portable fire control module (brigade level), a 9C933-1 divisional level system integration set; and a 9C935 automated anti-aircraft set. The training aids for the 9K333 Verba user include a 9F877 computerised classroom, a 9F859 Konus complex simulator, a 9F874 unified classroom simulator, and 9F663M and 9F635M1 tactical field training sets. Basic maintenance systems include the 9V682 test equipment set and the 9V681 mobile test station. KBM qualified the 9K333 Verba system with the 9M336 missile in 2012 following which the company received approval for low rate initial production of the complete system. In 2014 KBM began initial deliveries of Verba to the Russian Armed Forces' Southern Military District and Eastern Military District commands, with the system officially accepted into service with the Russian Armed Forces in 2015. Kashin said that KBM has requested export clearance for the Verba, and that this approval is expected to be authorised in the near term. Sorry, I just noticed this crap... the first US MANPAD was called Redeye and was total rubbish. The early Soviet copy of that system was SA-7 which had some improvements but was a tail chaser with a small warhead so damaged tailpipes more often than brought down aircraft... just like the Redeye. The Stinger was more a surprise than a particularly capable weapon and in the Soviet Union the SA-14 and SA-16 and SA-18 were developed in the 1980s. The Soviets captured several stingers in afghanistan and elsewhere and knew exactly its performance and did not bother copying an inferior item. Igla is rather better than stinger and igla-S was even better still with the main upgrade being a proximity fuse to allow small targets to be engaged. The main advance of the Verba is that not only small targets can be engaged, but low IR targets can be engaged like small light UAVs. Stinger on the other hand is not as good as Igla, let alone Verba. Mistral is better than Stinger... after the French blew up the Rainbow Warrior in NZs largest port we still bought Mistral MANPADS over Stingers. A key feature of MANPADS" Willow "is the ability to hit low-radiation targets such as cruise missiles and unmanned aerial vehicles, under the impact of false thermal noise at a height of 10 to 4500 meters and at a distance of 500 to 6500 meters, "- he said. The Russian army received two brigade and division set a new MANPADS "Verba"
MOSCOW, November 27. / TASS /. Engineering Design Bureau (KBM, is a holding company "High-precision systems") in late November, has transferred to the army two brigade and two battalions of the new set of man-portable air defense systems (MANPADS) "Willow", to perform the contract of 2013. On this November 27 reported TASS in the press service of the enterprise. "MSC completed two contracts with the Ministry of Defence, concluded in 2013: the supply of brigade and division sets the newest portable air defense systems" Verba ", - said the press service. The company explained that the first half of the ordered military weapons - two sets of brigade for the Army and two divisions for Airborne - were handed over in 2014. "The same amount of equipment delivered and in late November 2015. Contracts are made on time" - added to the MSC. 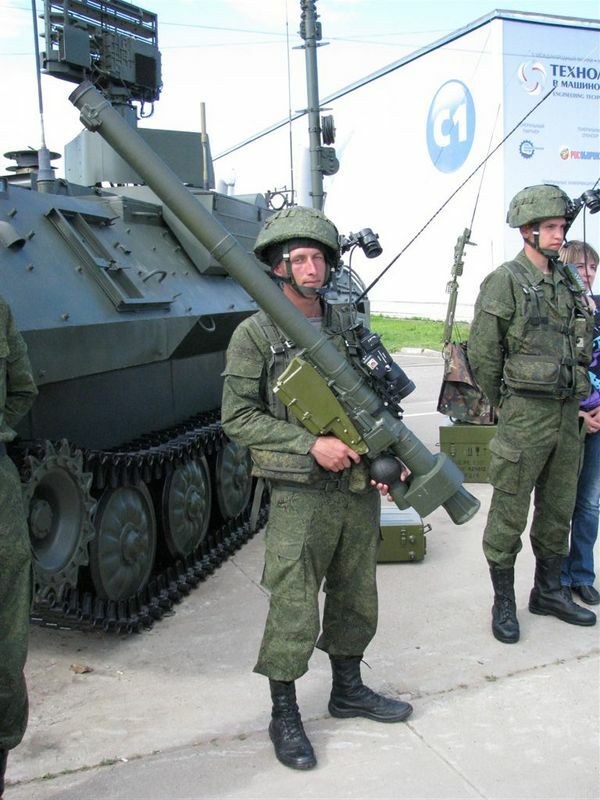 MANPADS "Verba", according to the developers, is superior to all existing foreign models. Anti-aircraft missiles, part of the complex, has received trehspektralnuyu homing with high sensitivity and low-radiation can hit the target. The complex is able to destroy targets at altitudes ranging from 10 to 4500 meters and at a distance of 500 to 6500 meters. Sorry if this has previously been discussed. What major advantages does this new system have over earlier ones of domestic or foreign design? sweartome123 wrote: Sorry if this has previously been discussed. Three spectrum sensor ultraviolet, near-infrared, and mid-infrared and algorithm matching "picks" from all 3 to track the target, this makes it far less vulnerable to various decoys and countermeasures. Unlike previous systems it has IFF interrogator. And even more important it has infra red imaging sight Maugli 2M - http://lomo-tech.ru/en/?a=2&b=3&c=3. Multiple launchers form an actual complex, its not "each launcher on its own", they all can communicate with 1L122E small radar system providing them with additional image of the airspace. guys i'm trying to understand whether this is a verba or a igla-s please help! Looks like Igla S, normally VERBA has the two "taps"/"lids" on the side (left side), not one on the side, on on top. sheytanelkebir wrote: guys i'm trying to understand whether this is a verba or a igla-s please help! KoTeMoRe wrote: Looks like Igla S, normally VERBA has the two "taps"/"lids" on the side (left side), not one on the side, on on top. 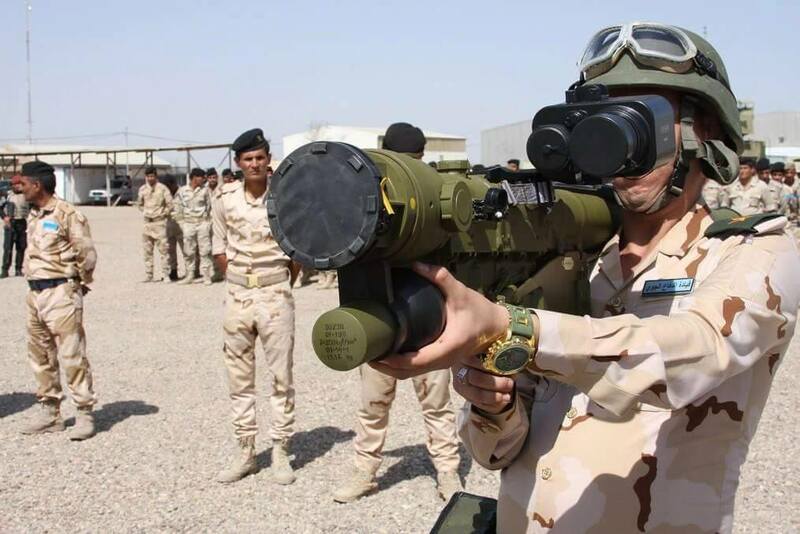 Iraqis just got certain amount of 1PN97M thermal imagers which is confusing people as they are seen on Verba. trying to shoot down Turkish Migrating Birds?